Welcome! I live in Odense, Denmark. This website mostly deals with the genealogy of my mother's family, the Danish-Italian Mazanti family. Most of it is written in Danish but you may find the Mazanti-pedigree ("Efterkommerne") useful. The first page of the pedigree describes the 1st and 2nd generation and includes several links to members of the 3rd generation and their offspring. I have translated the page about the Italian Roots - it describes my theory about the origin of the Mazzanti name; I'm also trying to imagine how the Mazzantis lived in ancient Tuscany. The texts in the Mazanti Photo Album are also written in English. 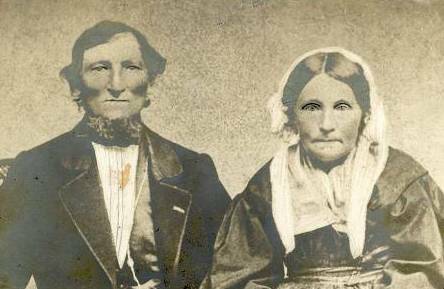 I have made a concise list of my Danish ancestors. Another option is my database at WorldConnect, you'll find lots of Mazantis (and all my ancestors) there. If you have any comments or questions concerning my website and/or the Mazantis, please send me a mail. Probably the ancestor of the Danish Mazantis, Joseph Anthon Mazanti, was born at the sea port Livorno (Leghorn), Tuscany. 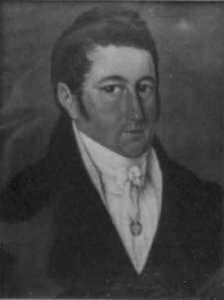 He may be identical to Giuseppe Mazzanti, born 24th March 1767 at Livorno, son of Francesco Mazzanti and Maddalena Masini and grandson of Giuseppe Mazzanti. Young Giuseppe (Joseph) learnt the craft of fabricating barometers, a Tuscan invention, but he left Italy and married a Polish girl, Anna Dorothea Snechac. She gave birth to six children. They went to Stockholm, Sweden but settled down in Odense, Denmark about 1795-1796. Between 1801 and 1804 Joseph disappears. According to his children he died on his way to a fair but an old pedigree suggests that he went missing in Germany in 1804. The mystery is unsolved! His wife died 1810 in a poor condition. She was buried in a pauper's grave. Ferdinand's branch. This was the "distinguished" Mazantis, living on large farms in Jutland. Gradually most of them went to Copenhagen. But a single branch owns some Danish manors. Theresia's branch. She is the ancestor of a large part of the Giørtz family. Carl's branch. Most of his descendants stayed in Odense, Funen, working in different crafts. Finally I'll inform you about some of the emigrants of the Mazanti family. Along with many hopeful Danes they left their family's new homeland and went to the USA. I don't know much about them but you might!